We tried the carbonated bubble mask on different skin types | Circa News - Learn. Think. Do. WATCH| This year, it seems as though face masks - especially ones from South Korea and Japan - have taken over social media and the beauty trend. 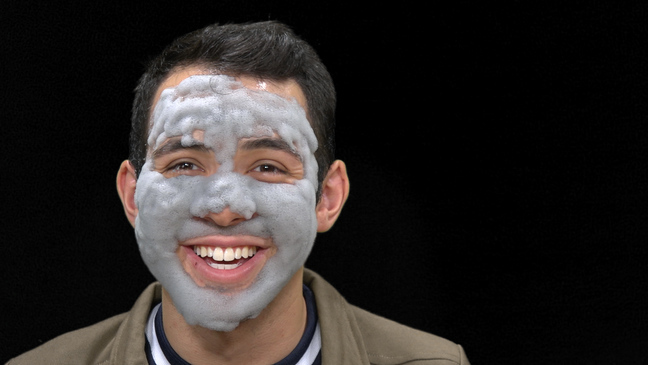 We tried one of the most popular masks - the carbonated bubble mask - on four different skin types to see how they felt afterwards. Our skin types include: combination skin (oily on the T-zone and dry on the cheeks), just dry, just oily and oily with dry patches. The mask is advertised to detoxify and exfoliate skin with cosmetic carbonic acid and clay pack - and many beauty bloggers and experts have seen stunning results. So we had to give it a try. The truth is, none of us were actually prepared for this mask. It was itchy and tingly. You could subtly hear the bubbles popping and growing on your face. It got messy. It was a WORKOUT to get it off. But in the end, everyone felt refreshed, confident and radiant. RELATED| Here are some hair trends from a Victoria's Secret hair stylist you should try.